Beyoncé has some exciting news! 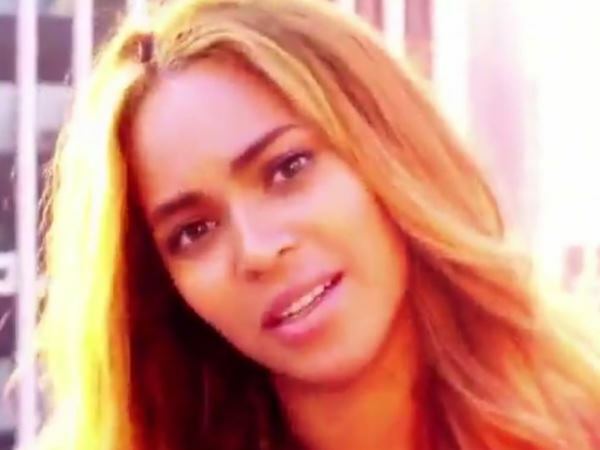 Beyoncé Knowles is announcing something "amazing" on Good Morning America. The superstar singer loves dropping surprises on her fans, releasing her self-titled fifth album out of the blue in 2013. Now she's teased there's big news to come, which she will reveal on Good Morning America today. ". @Beyonce has something amazing she wants you to know: "This is something I have to share with everyone..." (sic)," the show's official Twitter page posted. Followers were quick to start guessing, with some speculating she could be revealing she's pregnant with baby number two, which would mean she and husband Jay Z would be giving three-year-old Blue Ivy a little sibling. Others think it's work related, as there's been gossip she and Jay are creating a joint record that will be exclusive to users of the rapper's music streaming service Tidal. Beyoncé and Jay's producer Detail dropped some pretty heavy hints about a collaboration back in February at the Grammys. But when he was asked to confirm that exciting news, he wavered: “In my imaginary mind, it’s true," he said, sidestepping the question. Whether it's news on their personal lives or their careers, there's no doubt the power couple's fans will be glued to their TV screens today, when the secret is finally revealed.